NJ Attorney Review - what is attorney review in New Jersey and how long does it last? What is attorney review and how long does it last? Congratulations! You're going to buy (or sell) a home! You've successfully negotiated the purchase or sale of a home in New Jersey and now you're "going into attorney review". And you ask yourself "What is attorney review and how long does it last?" This is a common question posed by buyers and sellers in New Jersey. 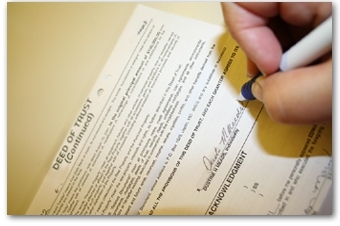 You see, unique to New Jersey, when a purchase agreement is signed by buyer(s) and seller(s), it is not yet a binding contract. What??? "This is a legally binding contract that will become final within three business days. During this period you may choose to consult an attorney who can review and/or cancel the contract. See section on attorney review for details"
During this same period, the other party can also have the contract canceled, for any or no reason. Typically during this period, however, the parties' attorneys add language, clarify issues, and legally better represent their clients' needs. This is not where the terms are re-negotiated. A common question is: When does attorney review end? Attorney review ends when the attorneys for buyer(s) and seller(s) have completed their revisions and approved each other's revisions. That could be in 3 hours, 3 days or 3 weeks or any other time period imaginable. During this time both buyer(s) and seller(s) are vulnerable. 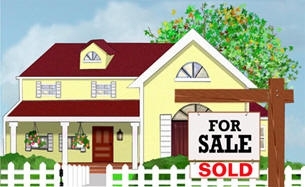 In more than one occasion, a buyer has lost a home because another offer was submitted to the seller during attorney review that was more favorable to the seller. The seller was able to cancel the first contract and enter into attorney review with the second buyer. Conversely, a buyer who sees another home they like better can also cancel the contract that is in attorney review to pursue a purchase on the other home. So how do you avoid losing your sale (or purchase) and conclude attorney review, you ask? And remember, your attorney works for you. Be clear about your desire to buy or sell this property. Your agent can assist in making the process run more smoothly but at the end of the day, your attorney works for you and not your agent, so your agent's effectiveness with your attorney is limited. Clear communications and prompt responses by all parties are key to a good transaction. Work with your REALTOR to ensure that the process goes smoothly and you'll be at the closing table soon! Congratulations - may your transaction be pleasant and successful! Contact us with any questions or concerns. We're here to help. © 2017 Patrizia Giassa. This information is deemed reliable but not guaranteed. Subject to errors and omissions.